A six-game slate comprises the NBA schedule on Tuesday night. Things tipped off with the Philadelphia 76ers pulling out a win over the Charlotte Hornets without Joel Embiid, followed by the Warriors bouncing back from a loss to beat the Minnesota Timberwolves to close out their road trip. Tuesday’s highly anticipated matchup between the Los Angeles Lakers and Milwaukee Bucks lost a little luster when it was announced that LeBron James and Giannis Antetokounmpo wouldn’t play, but it turned out to a be a pretty good game with the Lakers storming back to make things interesting in the fourth quarter. Here’s everything you need to know about Tuesday’s NBA action. Steph Curry had his 3-point shot working on Tuesday night, and that was bad news for the Wolves. 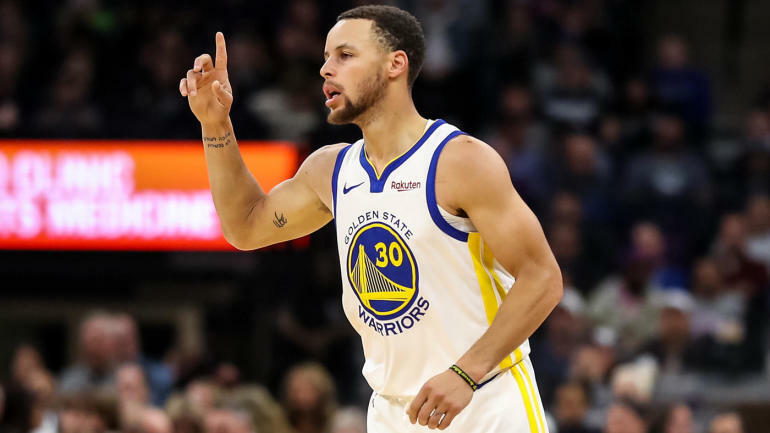 Curry rained in eight 3-pointers en route to a 36-point night that helped the Warriors get back to their winning ways after a loss to the Spurs over the weekend. Both Giannis Antetokounmpo and LeBron James sat out on Tuesday night, which was a bit of a bummer for the fans. But as a consolation prize, they did get to see Khris Middleton go off. The swingman put up 30 points, 10 rebounds and five assists to lead the Bucks to victory. With Joel Embiid out, JJ Redick had no trouble picking up the scoring load. The sharpshooter scored 27 points on 7-of-14 3-point shooting, and also filled up the stat sheet with 10 rebounds and eight assists. James Harden’s ball-handling is on another level, and Kent Bazemore found that out the hard way on Tuesday night, getting all turned around on this Harden crossover. Karl-Anthony Towns is a very large man, so athletic moves like this make him almost impossible to defend.